What really makes redcaps tick? 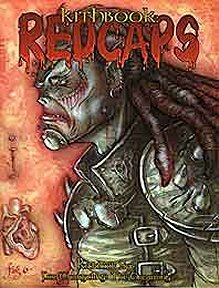 Publisher's blurb: "Driven by humanitys most primitive dreams, redcaps exist within a blood-red nightmare of insatiable hunger. Wherever they go, their destruction and terror leave a trail of broken bones and ravaged hopes. Despised by the other kith, feared and hated as figures of uncontrollable savagery, redcaps glory in their dark reputations and darker desires. Or do they? What lies behind their brutal energy and vicious practices?"